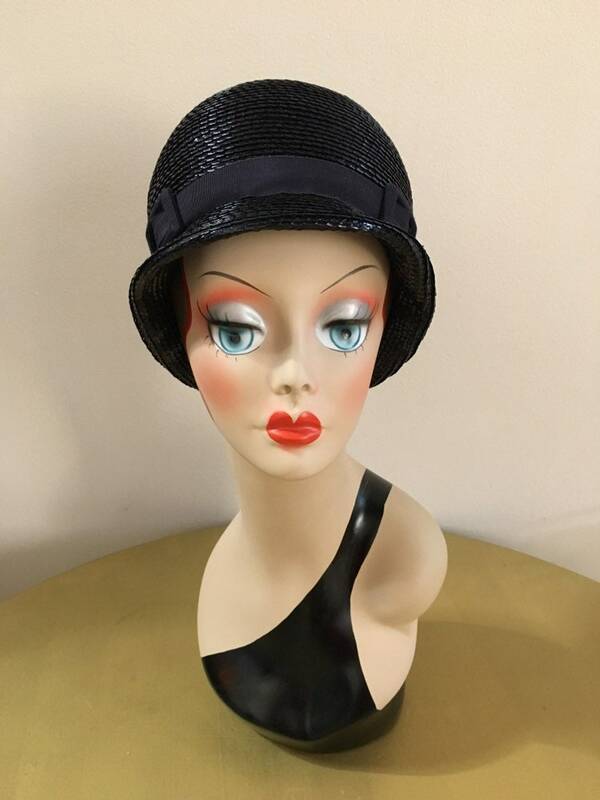 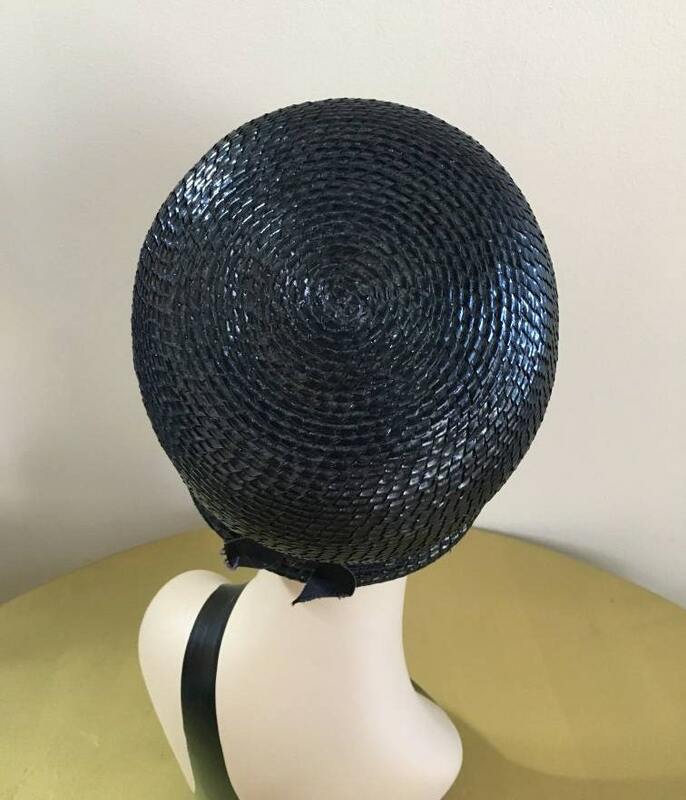 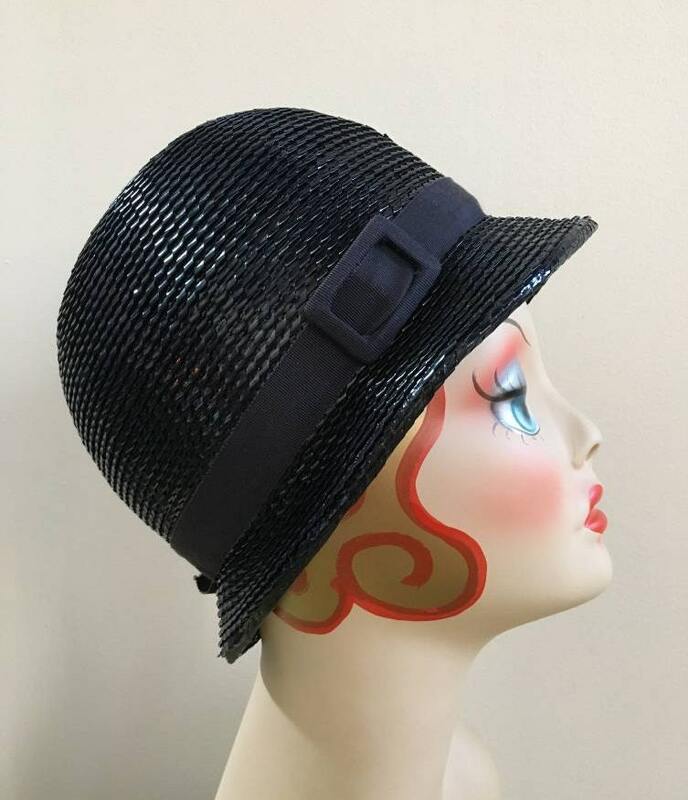 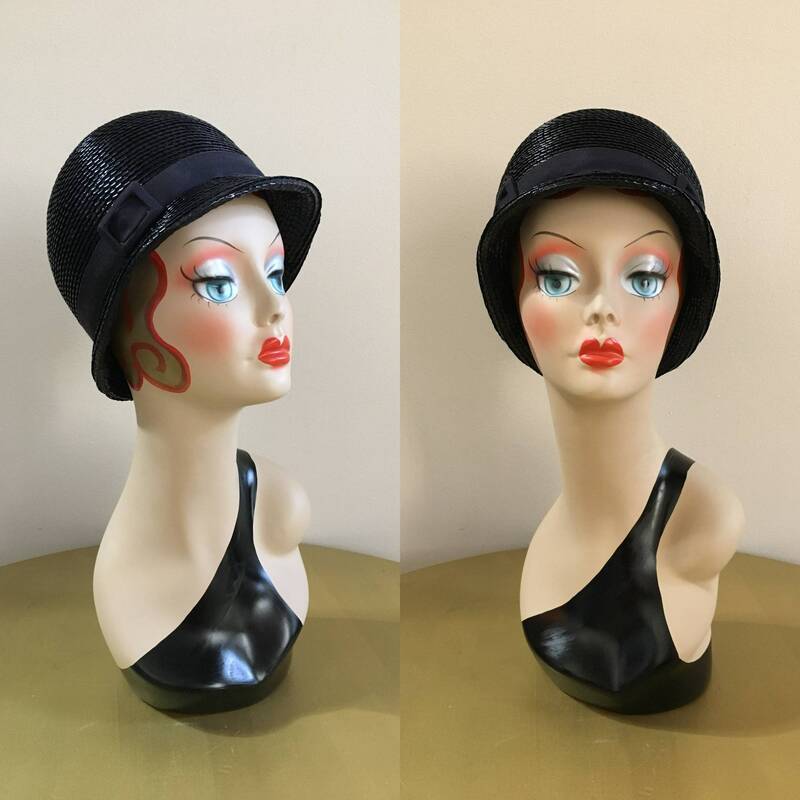 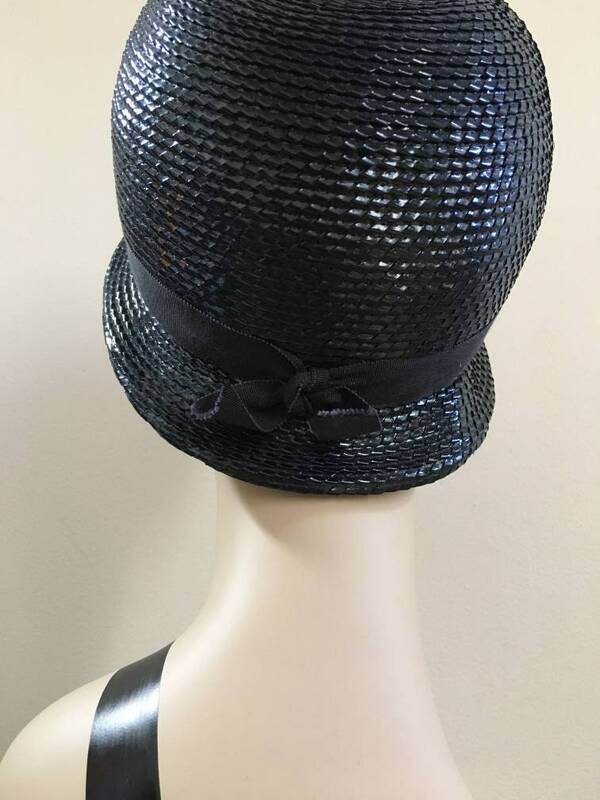 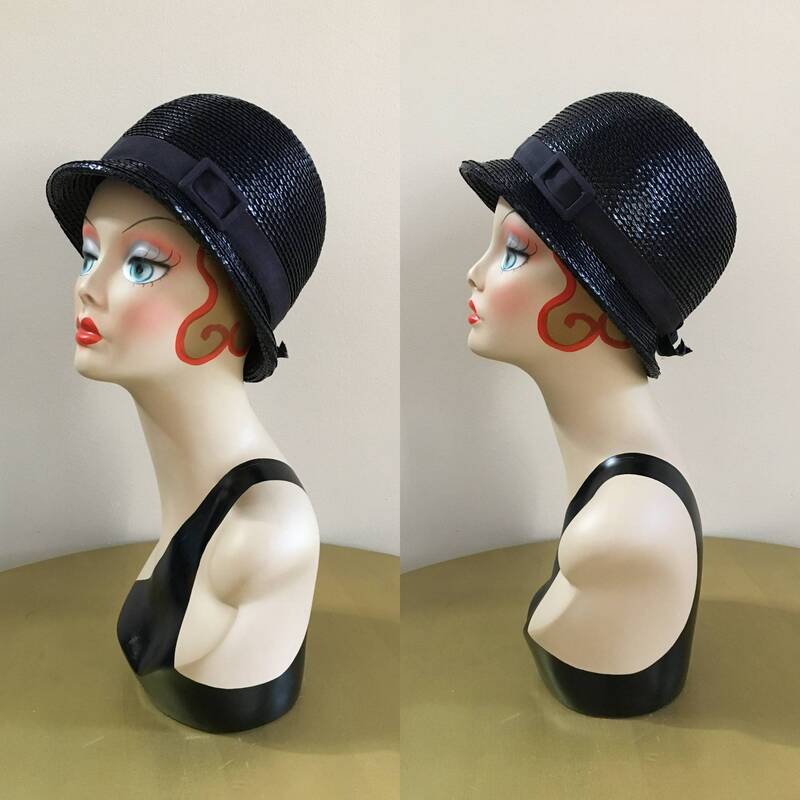 Vintage 1960s women's black knit straw cloche-style hat with ribbon, buckles and bow detail. 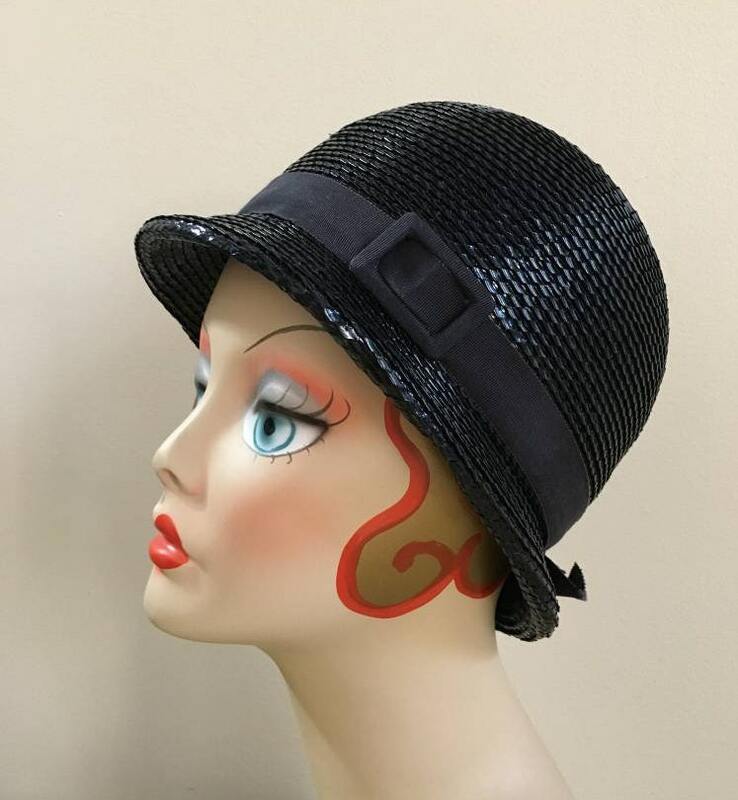 Dark ribbon band around top of hat with two rectangular buckles on either side of front. 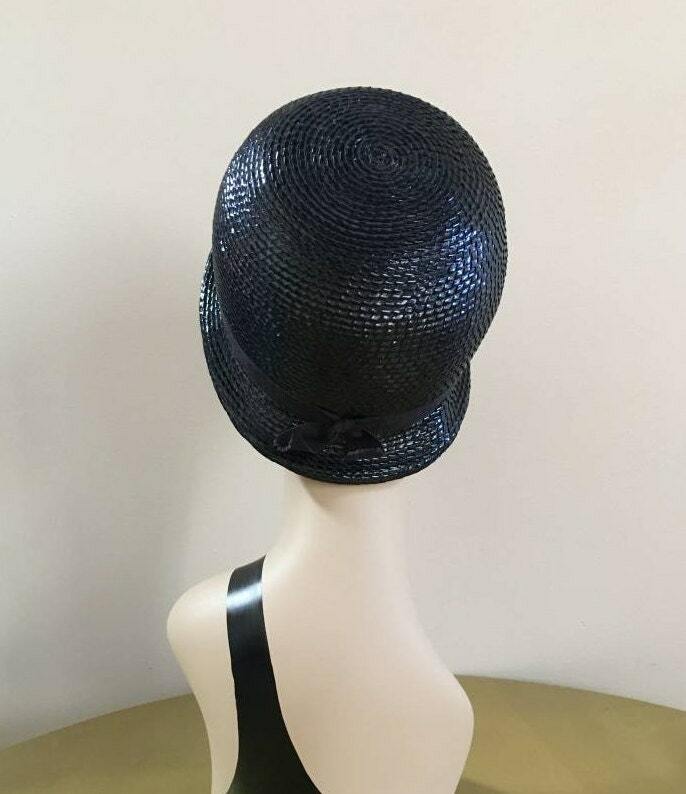 Bow detail on back of hat. 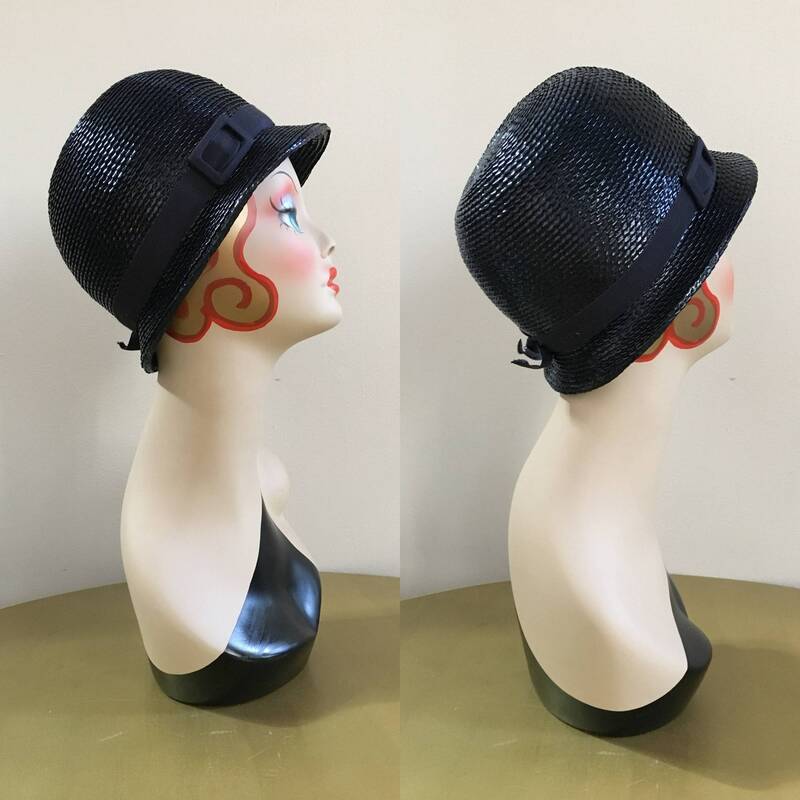 Hat can be worn resting on the top of he head or pulled down further, closer to the ears (pictured). 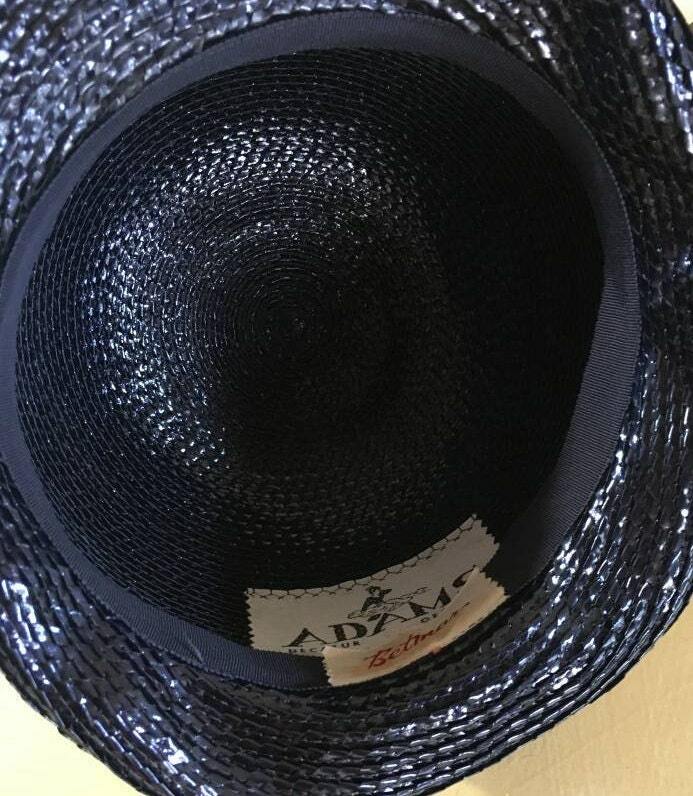 Made by Adam's in Decatur, Georgia, USA.